Jonathan Niszczak, MS, OTR/L graduated from Thomas Jefferson University in Philadelphia, PA with a Masters of Science in Occupational Therapy and then received an Advanced Masters Certification in Hand and Upper Quadrant Rehabilitation from Drexel University in Philadelphia, PA. 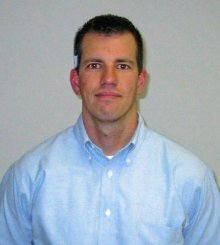 He was the Senior Clinical Occupational Therapist for adult and pediatric inpatient and outpatient Occupational Therapy services at Saint Agnes Burn Center in Philadelphia, PA and Senior Clinical Occupational Therapist for adult and pediatric inpatient and outpatient Occupational Therapy services at Temple University Burn Center in Philadelphia, PA. Currently he is the Clinical Specialist for Bio Med Sciences, Inc. focusing on research and development for their burn and wound care division and serves as a consultant for Temple University Burn Center servicing both inpatient and outpatient burn treatment. He has served as adjunct lecturer for both Physical and Occupational Therapy programs at Temple University & Drexel University in PA; Rowan University in New Jersey and Ithaca College in New York. Recent educational lectures include: The Management of Hypertrophic Scars with Silicone and Pressure Modalities presented as part of the Changing the Face of Burn Masks National Burn Symposium for Hanger Orthotics & Prosthetics in February 2006; Face Mask Orthosis: Current & Future Management of Facial Burns and Scarring presented as part of the Updates in Burn Rehabilitation at the Rehabilitation Institute of Chicago Academy in August 2006; Burn Scar Assessment: A Brief Review of Current & Future Applications presented as part of the Objective Measurement & Assessment in Burn Rehabilitation for the American Burn Association 39th National Conference in March 2007 He is an active member of the American Burn Association serving as part of the Research Committee (2002-2005) and has recently been selected to serve as Co-Chair (2007-2008) and Chair (2009) of the Occupational & Physical Therapy Special Interest Group of the American Burn Association. He is the founder chairperson of the Barbara Knothe Burn Therapist Achievement Award and the web site www.burntherapist.com He lives in PA with his lovely wife Becky and their newest edition – Michael.